A sketch of Ramona Quibly holding up a book excitedly. On April 12th, we celebrate “Drop Everything and Read” day (D.E.A.R). A day dedicated and focused on something we hold sacred, the importance of reading. Here at Words Alive, we help students and families see how fun and rewarding reading can be, and fully support the idea of dropping everything you’re doing to pick up a good book! Famed author Beverly Cleary, born on April 12th 1916, is a prominent children's book author with renowned titles such as “Beevus and Ramona” a part of the highly popular “Ramona” series. 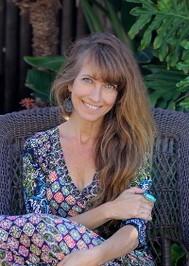 She is a huge advocate for D.E.A.R day, even including a description in her book “Ramona Quibly, Age 8”. She once said, “I don’t think anything will ever replace the pleasure of holding a book and turning its pages”. This perfectly encompasses how we at Words Alive feel and why D.E.A.R day is so important. There are several ways you can get involved with D.E.A.R day, first of which is the most obvious, reading a book of your choice! Reading for pleasure regardless of your age is something you can do for you, and you alone. Another way to honor D.E.A.R is starting a journal, or even something as simple as spreading the word. You can visit http://www.readingrockets.org/calendar/dear#about for more inspiration. Read Across America Day falls annually on March 2nd. The holiday was initially founded by the National Education Association (NEA) as a small way to help advocate for the importance reading among children by making it an exciting celebration. Twenty one years later, 3.3 million NEA members support the event. The holiday, which falls on Dr. Suess’s birthday, aims to motivate children to read more at a young age with the goal of creating lifelong successful readers. The U.S. Department of Education found that, generally, the more students read for fun on their own time, the higher their reading scores. To help encourage this behavior, the NEA comes out with a digital literacy calendar with suggested books for various reading levels that coincide with holidays, events, or unique topics. Included in this calendar is also a list of suggested activities and resources to make reading a more engaging experience. The National Center of Education also found that children who were read to frequently were more likely to count to 20 or above, write their own names, and read or pretend to read, are all very important skills. Integrating reading into a child’s daily routine is imperative to creating a basis to build upon as they grow older. As a day that is celebrated in many schools, libraries, and community centers, it’s a great opportunity to incorporate Dr. Suess and his incredibly popular children’s books. Thirty years after his passing, his books are still some of the most recognizable, visually intriguing, and entertaining books to read for children and adults alike. As an author who had fun with words and sounds, he helped children get comfortable with phrases they were unfamiliar with. Lines such as, “Then he hides what you paid him away in his Snuvv, his secret strange hole in his gruvvulous glove” encourage both adults and children to use context clues to figure out the meaning of “snuvv” or “gruvvulous” and how they work within the sentence. Aside from encouraging children to infer, Dr. Seuss also included a lot of lessons in his books. From teaching children about treating the Earth with respect and the importance of sustainability in The Lorax to classics such as The Cat in the Hat, he was able to incorporate a lesson, big or small, into the book. The Cat in the Hat, perhaps one of his most iconic books, is featured in Read Across America media and the hat is even sold with some purchases to bring the celebration full circle. Read Across America is a great way to help children get excited about something they may often associate strictly with school. Words Alive firmly believes that by extending the spirit of this celebration into an everyday commitment, it has the power to improve lives for the better. If you would like to learn more about the various ways we make reading fun and accessible to children of all ages, click here. An image of the Partners in Thought logo, featuring the tagline "Science-Based Coaching for High Achievers." 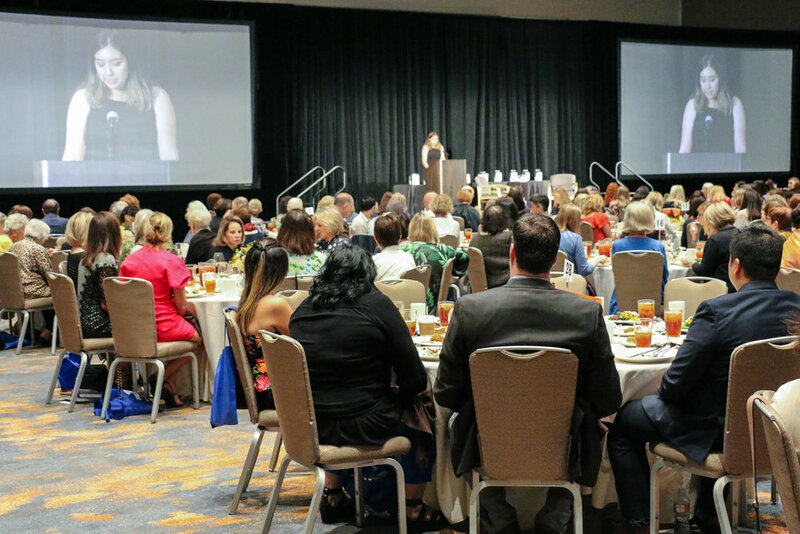 Each fall, the Author's Luncheon is attended by over 600 patrons including book lovers, philanthropists, educators, civic organizations, and people invested in creating a more literate and thriving San Diego. This intellectual, elegant, and fast-paced fundraising event helps Words Alive raise over $200,000 annually, funds that make up a considerable portion of what Words Alive needs to continue serving thousands of children and families each year with high-quality literacy programs. This event would not be possible without the support of our sponsors, the generous people, companies, and organizations who know how important literacy is for a prosperous community, and support our mission of opening opportunities of life success by inspiring a commitment to reading. Partners in Thought provides science-based coaching for high-achievers through self-discovery, change, achievement, and providing confidential advisor services. Offering a variety of objectives including peak performance, organizational development, time management, or happiness, they provide tools backed by science to leverage people’s efforts into continued and sustainable growth. The company not only assists CEO’s, entrepreneurs, and professionals, they also include educators and non-profits in order to multiply those results by helping those who help others. The organization also donates an amount equal to 20% of all their profits to non-profit programs that help those without homes or with mental illnesses. Words Alive is excited to work with Partners in Thought as a first-time sponsor for the 2018 Annual Author’s Luncheon. Thank you Partners in Thought for supporting Words Alive with the 15th Annual Author’s Luncheon & Fundraiser! 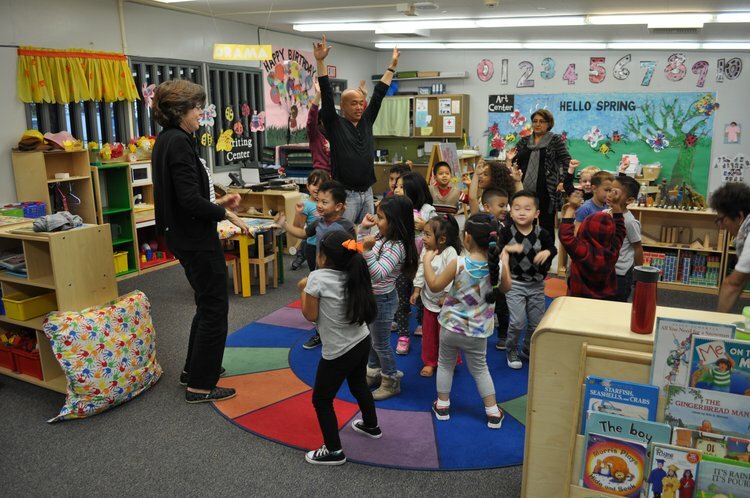 Promoting sponsors for this event not only receive recognition on press releases and printed collateral, but they help Words Alive continue to serve thousands of students and families in San Diego with high-quality literacy programs. We still have many sponsorship opportunities available! If you, or the company you work for, believes in the importance of literacy and is interested in helping Words Alive foster a more literate community, check out sponsorship details here. 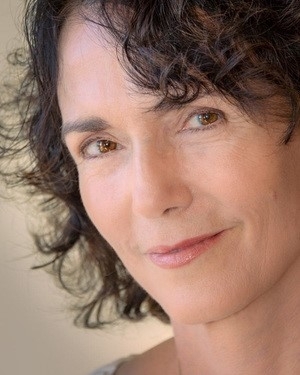 We have benefits available from social media promotion, to recognition on centerpieces, to the opportunity to announce our featured author, Mary Kubica, at the event! An image of the Rancho Valencia Resort & Spa logo. Rancho Valencia Resort & Spa is a luxury hotel in San Diego and is the Marketplace Sponsor for our 15th Annual Author’s Luncheon & Fundraiser! Marketplace Sponsors not only receive recognition at the event on all raffle or silent auction materials, but have the unique opportunity to announce raffle winners. The award-winning Rancho Valencia Resort & Spa opened in 1989 and has an impressive reputation as one of the West’s most sought-after five star resorts. This Mediterranean-inspired all-suite property is tucked away in 45 acres of lush gardens and olive groves near Del Mar, California. It features guest casitas with private patios, two restaurants and a bar, a meeting space, The Spa with rejuvenating treatments, a fitness center with well-oriented programs, and a champion tennis program. Rancho Valencia has been selected by Forbes Travel Guide as one of the finest five-star hotel and spas in the world and has won the AAA Five Diamond award, both for five consecutive years. Additionally, this paradise has ranked as the #1 resort in the country by U.S. News & World Report in 2015 and was listed on Condé Nast Traveler's 2016 Reader's Choice Awards List. Thank you Rancho Valencia Resort & Spa for your help with this event and for recognizing the importance of literacy! 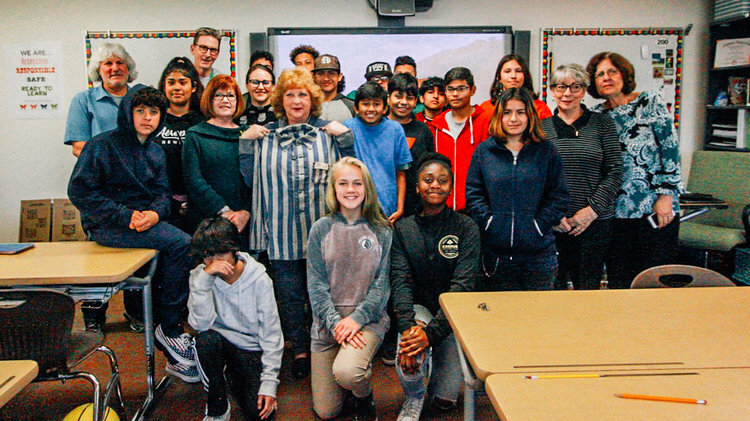 With your support, Words Alive is able to provide high-quality literacy programming for students and families in San Diego communities. Interested in availability for our sponsorship opportunities? If you, or the company you work for, believes in the importance of literacy and is interested in helping Words Alive foster a more literate community, check out sponsorship details here. 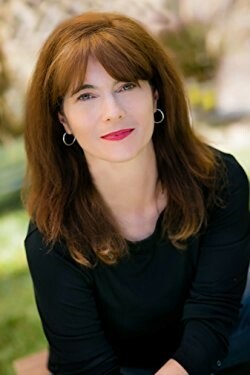 We have benefits available from social media promotion, to recognition on centerpieces, to the opportunity to announce our featured author, Mary Kubica, at the event!